Columbia's waterproof fabric is some of the best you can find, not only protecting from drizzle and downpour, but also from harmful elements while remaining breathable and stylish. 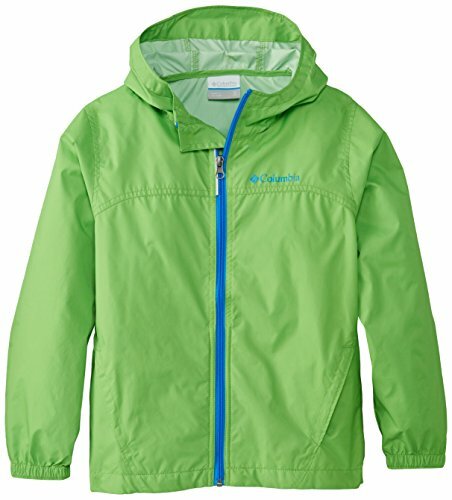 This Columbia Youth Boys Toddler's Glennaker Rain Jacket is the perfect edition to your little one's rainy-day wardrobe. Crafted of 100% nylon material, this rain jacket keeps it's promise of waterproof protection. The reflective details are a stylish, but highly-needed, perk that work to protect your little one with visibility. What's more important than being worry-free and feeling secure while he's out at play? The contrasting front zip and signature Columbia chest logo add that extra I'm-ready-to-play-but-still-serious element to this versatile staple. The two zippered side pockets give a sense of added security while and the hood acts as an additional aspect of protection. Rainy-day play dates have never been so fun. 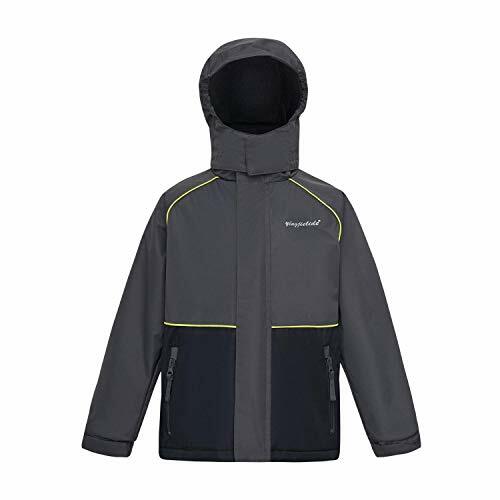 Columbia's toddler rain jacket is available in a range of sizes to accommodate the growing boy. The Glennaker Rain Jacket also comes in many exciting colors. To ensure the size you choose for your little one is just right, utilize our sizing chart and the following measurement instructions: for the sleeves, start at the center back of your neck and measure across the shoulder and down to the wrist. If you come up with a partial number, round up to the next even number. For the chest, measure at the fullest part of the chest, under the armpits and over the shoulder blades, keeping the tape measure firm and level. SNUG FIT: Elastic details and a zippered closure allow for a snug, yet comfortable fit that allows for movement. A soft, fleece layer is a must for any young adventurer's winter wardrobe that's why the Boys' Steens Mt. II Fleece Jacket exists. Columbia's soft, winter-ready staple is the ultimate warmth provider and everyday style piece. Your little one is bound to be warm and worry-free in this fleece jacket crafted of our super-soft 100% polyester MTR filament fleece. It's the perfect layering piece and first line of defense to combat the cold. When constant activity and high-energy are a factor, a classic fit is necessary; it allows for comfortable movement that your young adventurer needs. Zippered side pockets keep his small items secure (including his hands when the outdoors get extra cold). An added bonus is the warm collar that's flexible enough so your little one can choose whether to wear it up or down, depending on desired level of toastiness. Columbia offers our Boys' Steens Mt. II Fleece Jacket in multiple staple colors and size. To ensure the size you choose is right, utilize our sizing chart and the following measurement instructions: For the sleeves, start at the center back of your neck and measure across the shoulder and down to the sleeve. If you come up with a partial number, round up to the next even number. For the chest, measure at the fullest part of the chest, under the armpits and over the shoulder blades, keeping the tape measure firm and level. 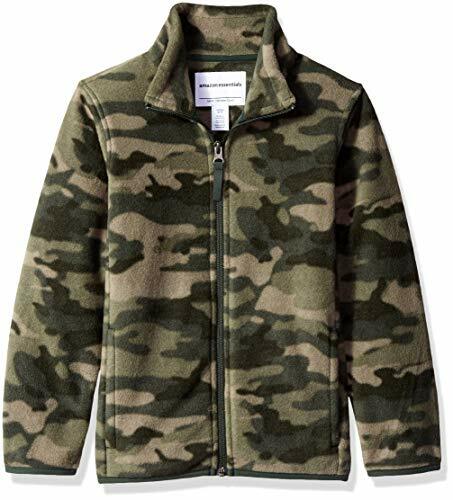 SOFT FABRIC: This Columbia Youth Boys' Steens Mt II Fleece Jacket is crafted of ultra-soft 100% polyester MTR filament fleece for the perfect amount of warmth. 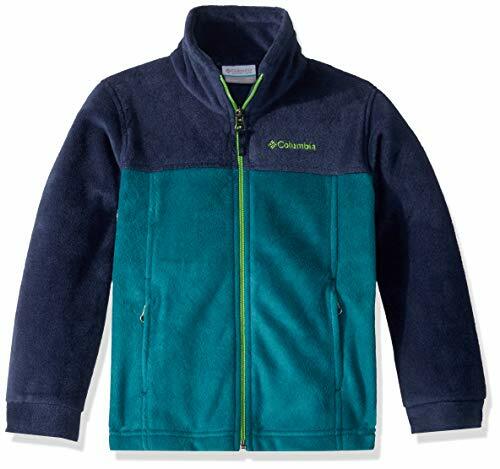 HANDY FEATURES: This Columbia youth fleece jacket features two side zippered security pockets to keep your little one's small items secure. ULTIMATE COMFORT: With a collared neck and zippered closure, your little one is sure to be protected from the frigid cold. VERSATILE: Soft and warm, this fleece jacket is the perfect layer whether your little one's by the fire or playing outside. Zipper and Velcro tabs closed, double protection. Some customer reflected the jacket is a little large, please check the size chart before placing an order. 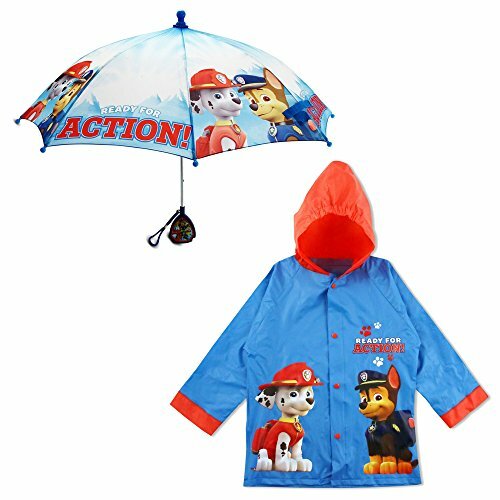 He'll be ready for action no matter the weather in this fun paw patrol rainwear set. The adorable rain slicker and matching umbrella feature imagery of chase, marshal, and rubble from the popular Nickelodeon cartoon. Available in your choice of 2 colors: blue and purple. Designed for toddler and little boys and available in different sizes for ages 2-5, the rain slicker is moisture and humidity-resistant. Snap buttons are easy for children to fasten and unfasten. The thin but durable vinyl slicker fits easily over his clothing to keep him comfy, and an adjustable elastic hood helps keep him protected from the rain. A matching 8-panel umbrella with alternate chase, marshal, and rubble imagery with 'heroes work together' Messaging and has protective caps on all points. A character handle depicts his favorite paw patrol buddies and has a convenient nylon carrying cord. A velcro closure strap lets children easily fasten the umbrella for comfortable carrying. The instantly recognizable Nickelodeon characters are sure to be a hit on the playground. 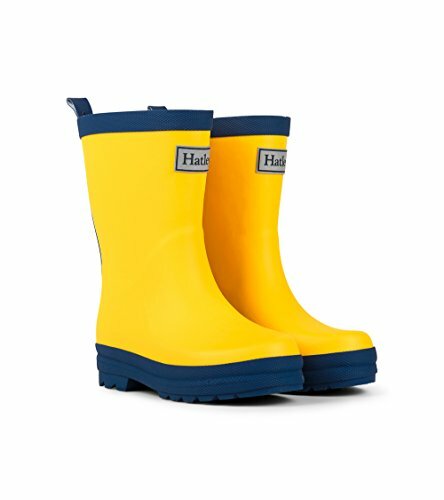 With his paw patrol puppies at his side, your little boy will be up for any wet-weather adventure. 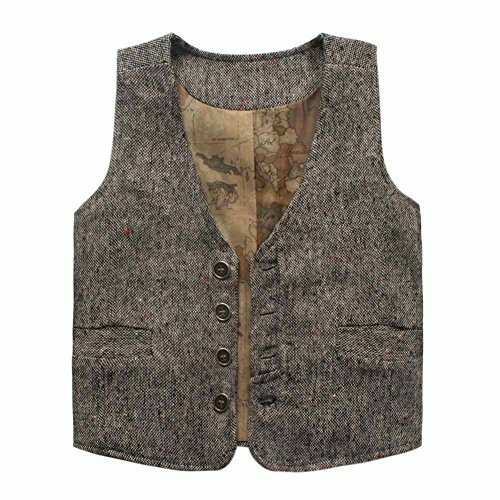 Coodebear Girls' fashion cotton blend vest waistcoat, made in China, has professional designers, produced by big factories, exquisite workmanship, first-class quality,Passed certificate of quality inspection, machine washable. 1. Please note the product size description. If your child grows faster than his peers, it is recommended to choose a larger size. 2. 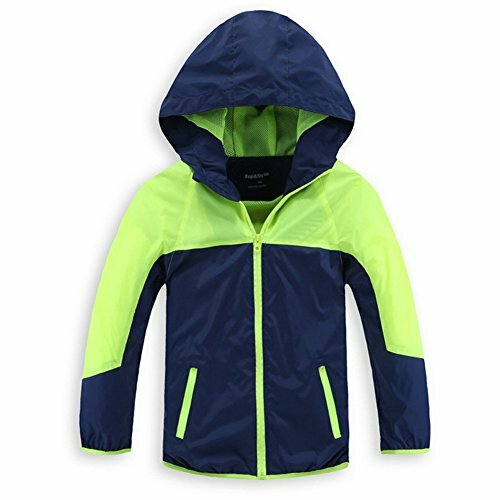 Boy rain jackets are made of environmentally friendly materials, rainproof, portable and lightweight. Ideal for children in school, hiking, camping, outdoor, cycling and more. 3. The design of this boy's jacket is very classic, very good with clothes, your child will be very happy to wear. 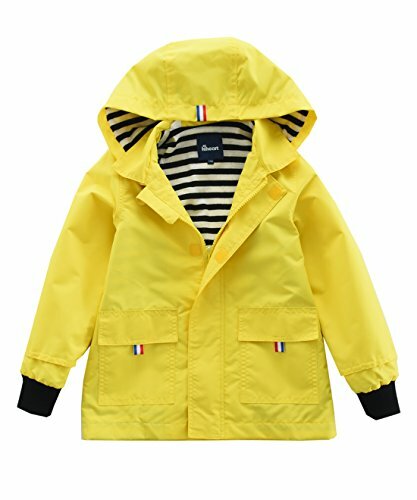 Feature: Boys' Long Sleeve Raincoat with Hooded, Elastic cuffs,Front Zip Closure,Contrast Color Design,Two Front Pockets Decoration.This Jacket is Reversible,You Can Wear It Inside Out. Waterproof: This Jacket is a Lightweight Material , with Sun Protection and Waterproof Function,Giving you Versatility in Everyday Life,This Raincoat Easy to Deal With Light Rain, Quick-drying. It's Great In a Light Drizzle Or Sprinkle, Maybe It's Not Suitable In Heavy Rain Status, and It's Good as a Lightweight Jacket Too. 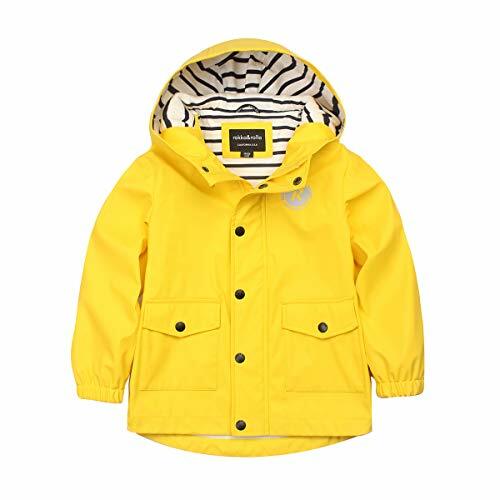 Season: This Boys Windbreaker Jacket Have Size 6 8 10 12 14,Suitable for All Season Spring Summer Autumn Winter. 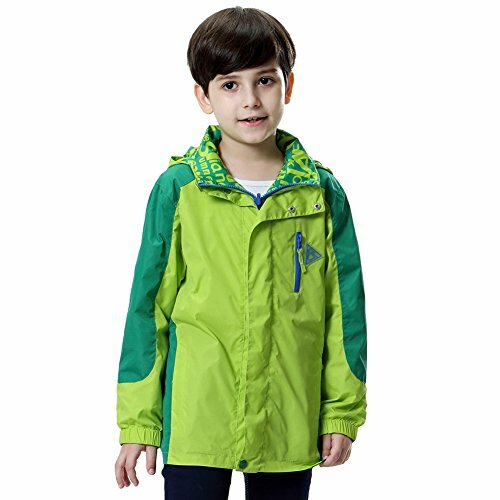 Occasion: The Rain Jacket Have Two Color Blue and Green, Your Kids Can Wear When Climbing/ Hiking/ Camping/ Cycling and Other Outdoors. Just a REMINDER: As Different Computers Display Colors Differently, The Color of The Actual Item May Vary Slightly From The Above Images, Thanks for Your Understanding. Size is The Manual Measurement , Because of the Different Measurement Methods For Each Person, There May be Errors 1-2cm. 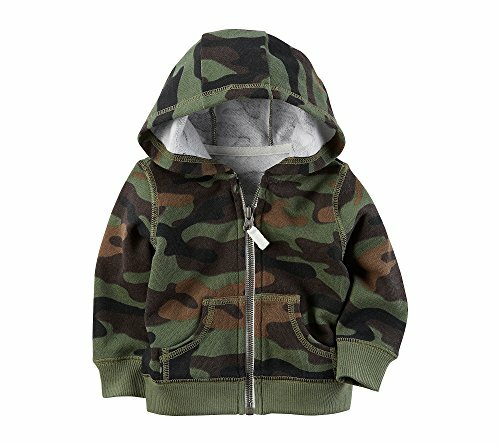 Keep him warm in this soft French terry fleece camo print hoodie from Carter's. Get in character with this western chief kids' character raincoat. Great for rain and play! It's the perfect choice for staying dry while saving the day. Don't forget the matching boots and umbrella! 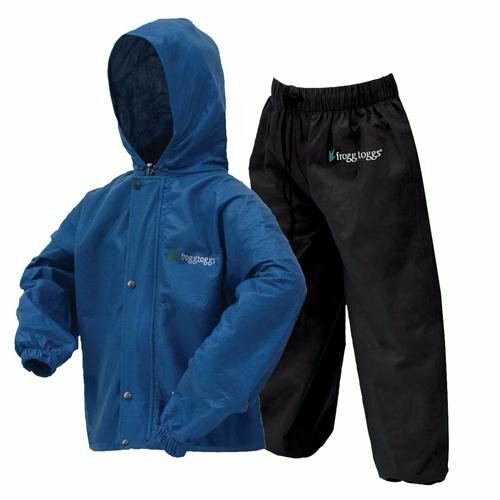 The Frogg Toggs Youth Polly Woggs Rain Suit includes both a rain jacket and water-resistant pants. The jacket features a full front zipper with snap-down storm flap, elastic wrist and full hood. The pants feature an adjustable, elastic waist and elastic ankle openings. The Rain Suit is perfect for hiking, camping, fishing, hunting, and any other outdoor activity on a rainy day. Rokka&Rolla Guarantees 100% quality certified brand new raincoat with original brand tag. Multiple color options are available for Boys' style. Waterproof, windproof and lightweight fabric with comfortable and breathable knited & striped lining is breathable and lightweight in & out of the water. Full zipper closure designed with waterproof zipper and buttons; Functional designs such as rainproof hood with protuberant bongrace design, patch pockets, elastic hems , high reflective logo print and inside name label. Lightweight rain jacket is perfect for backpacking, climbing, hiking, camping, cycling, golf, skiing, snowboarding, school and other outdoor sport activities in Spring, Summer, Fall & Winter or even in harsh weather. Rokka&Rolla commit ourselves to provide the best quality customer service and shipping service. Attention: Our Size is regular fit U.S. size. Please kindly read our size chart with our recommendation for your reference. Care Instructions: Do not wash; Do not Bleach; Do not tumble dry; Do not iron; Do not dry clean; Wipe clean with damp cloth. Please feel free to contact us if you have any related question. Full zipper closure designed with waterproof zipper and buttons; Functional designs such as rainproof hood with protuberant bongrace design, patch pockets, elastic hems , high reflective logo print and inside name label. Your little ones will have fun walking around and splashing in puddles without the worry of getting drenched when they wear this rain slicker from London Fog. 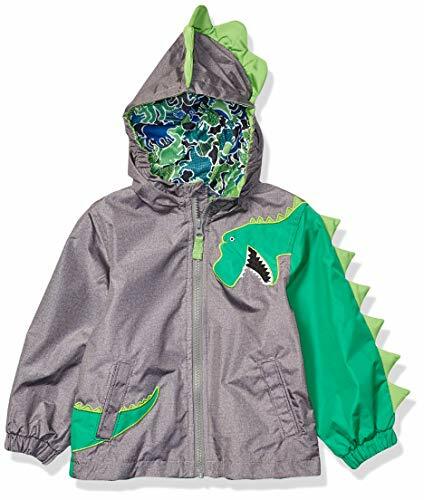 Featuring an attached hood with a cute Dinosaur or Puppy applique, this rain jacket is sure to be a hit with your child. Easy zip-up closure at front and two front pockets to keep their little hands dry and warm. This rainslicker jacket features a water resistant outer and a soft printed jersey lining inner. 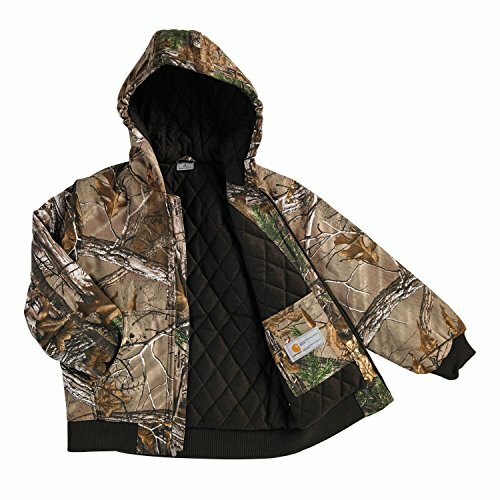 Comes in two styles, puppy rain jacket and dinosaur rain jacket, for toddler kids and babies. Who says rainy days have to be boring? 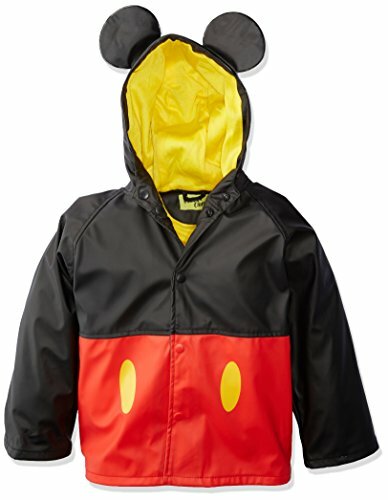 With a rain jacket as fun as this one, your little guy will be looking forward to wearing it as often as possible. In the rainy weather, your child can enjoy the fun of outdoor play without having to free one hand to hold the umbrella with the full coverage hood. 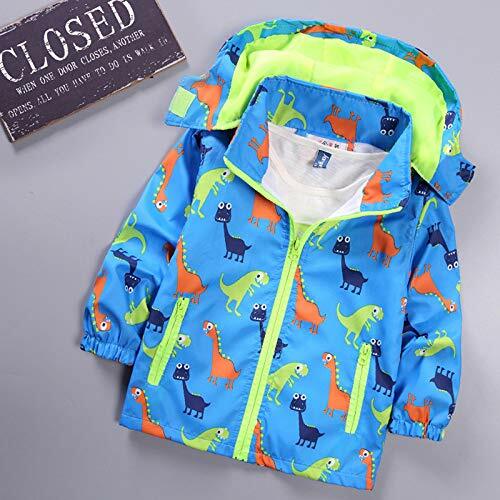 This adorable raincoat with a dinosaur or dog that wraps around the entire jacket will keep your child protected from the elements, thanks to its water resistant fabric and soft interior lining. The perfect hooded jackets for kids that will keep them comfortable and dry. 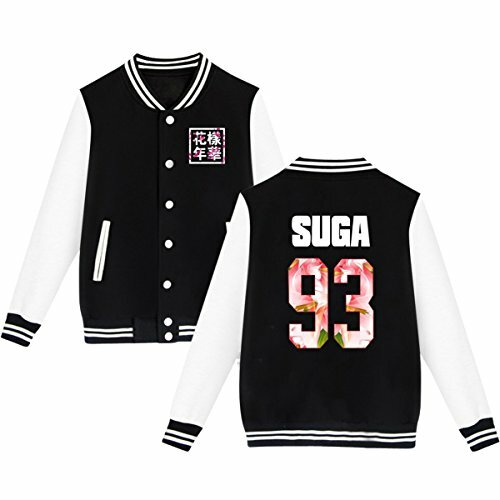 Perfect for any occasion, it can be worn to school; it can be worn as an every day lightweight jacket. It is suitable for spring, autumn and winter and gives your child a layer of protection when it is windy and rainy. This rain coat would make a great gift for babies and toddlers. A present they are sure to love! Note : the size is for average level,if your kids is much stronger than others,please get one size up. Shell: Polyester, durable and water resistant. Lining: mesh liner, comfortable and breathable. Sleeve: Threaded cuff, windbreaker and keep warm. Good for school day,Outdoor Sports, Traveling, Cycling, Hiking, Fishing and Camping etc. We provide 24 hours customer service and 30 days return guarantee,so if you have any question,please contact us freely.